Warning action - buying AddMeFast account balance 7000 points you get for FREE 700 points. Save 10%. Hurry up to buy an account today, promotion is valid until the end of the week. After payment you will receive a login and password to your account, and you can immediately begin advertising their pages on social networks. AddMeFast - very good service for the promotion of all social networks. And if there are other similar sites like mushrooms after rain, and after a few months, just as quickly disappear, then AddMeFast successfully operating for the fifth year. They have more than one million registered users from all over the world. Today AddMeFast is a leader in the promotion of all kinds of social networks. Especially useful in the initial stages of attracting an audience of your group, page, channel, etc. AddMefast is not just automatic wrapping likes and subscribers. The service works on the principle of sharing the living - you perform tasks other users, while earning points and then using those points to their job. Gain points rather laborious and lengthy process, so we recommend to buy points. There are several times cheaper than sold on the site + you get additional free bonus. Do not worry that the English-language resource. With simple intuitive interface to work with him very easily. If you are still having difficulties, and can not deal with the interface of the site, you can go to the Russian - it should be put at the bottom of the page addmefast.com lang ru, with the transfer will not the highest quality, as applied translator google. Free Points - points on the earnings performance of tasks. How to unleash the desired page and add a new task to perform on AddMeFast? Nothing complicated to work with service there, but that everything was clear right now, let´s look at how to work with the whole service. So, the first thing you should click on the Add Site / Page button (zelёnenkaya in the upper left corner of the screen). Countries: users choose the country from which will be available to your assignment (do not select if you want the task to be performed by users of all countries without selecting). Title: the name of the company - a special role is not playing, you can fill out at random, it is necessary first of all for you to later on in the list of tasks can be distinguished one from another, and easily monitor its implementation. Total Clicks: total number of completed tasks that you plan. We recommend to start with not very large orders to avoid blocking of your account in the social network, gradually over time, this rate can be increased. CPC: you specify a number from 2 to 10 - the number of points that you are willing to pay for one performance of your job. Remember, the higher you set the payment for the job, the faster and more active it will perform. Recommended originally put the average pay and after a while to watch the execution, edit a task, increasing or reducing the payment for execution if necessary. After entering the data, click save Save Changes, and then the task will appear on the My Sites page. Periodically visit this page and check how your tasks are performed. When following the addition of new jobs come back to the section Add Site / Page and re-enter the details of their assignments. 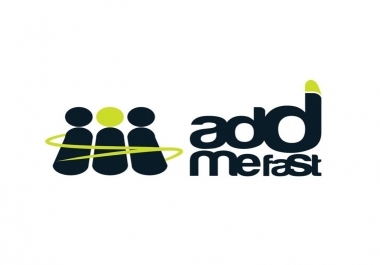 Buy AddMefast account with a different number of points you can here http://314com.plati.market/ There you will find my contact for communications in case you have questions about the AddMeFast service or be able to send your offer of cooperation.